[Notice] 회원님들은 본 사이트 가입 후 '가입 약관'을 반드시 읽어 보시고 숙지하시기 바랍니다. [Notice] Добро пожаловать в посетить красивые GOCEA! [Notice] Our site introduces Korean Orchids with plenty of images and provides orchid arts. [Notice] 전광판에 광고를 등록하시려면 이곳을 클릭하세요. 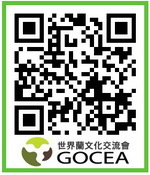 Welcome to Beautiful Korean Orchid and GOCEA visit!! Koreans have loved orchids from long ago and orchids have often been the subject of paintings and poets. My site introduces Korean Orchids with plenty of images and provides orchid arts. This site is best viewed using IE 7+, Mozilla Firefox and above with 1024 x 768 resolution or higher and True color mode 32bit. Apr 15, 2019 독특한 난초 잘 구경했습니다. Apr 15, 2019 전시회 분위기 참 좋습니다. Apr 15, 2019 난,분, 그림, 소품 모두 좋습니다. Apr 15, 2019 전시장 분위기 정말로 부렵네요. Apr 15, 2019 우리의 전시와는 또다른 멋이 있네요.